The Catholic Bible is available in many formats. 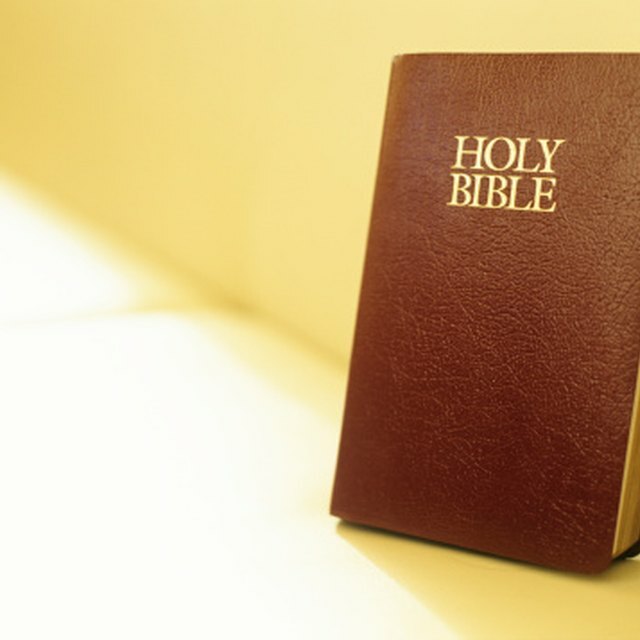 The Catholic Bible consists of 27 books in the New Testament and 46 books in the Old Testament. The seven additional Old Testament books, not included in the Protestant Bible, are known as the deuterocanonical books. 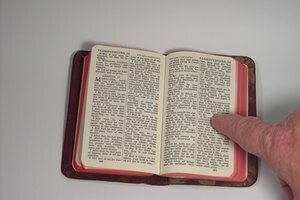 Three common Bible translations used in the Catholic faith are the Rheims-Douay version, the Vulgate version and the New American Bible. There are many methods of obtaining or reading a Catholic Bible free. Contact your local Catholic church. Speak with a parish education representative. Inquire if they have any free Catholic Bibles available. Go to a website like BiblesforAmerica.com or Freebibles.com. Click the "Order Bible" link. Complete the Bible request form to have a Bible mailed to you. Go to the Vatican’s website. Click the "Resource Library Link," which is the first round icon below the Pope’s name. Click "The Bible" and select your language. Click the "Section Links" to read the text online. Go to a website like Project Gutenberg or Freecatholicebooks.com. Search for the Bible translation you desire. For example, search for "Rheims-Douay." 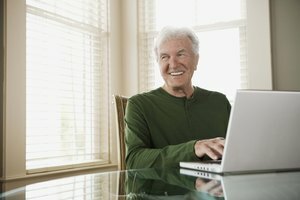 Click on the translation link to download the Bible to your computer. You may be able to print this file or transfer it to an e-reader device. Ask the librarian for help locating a Bible. Check out the Bible to read. Several websites offer online viewing of the Catholic Bible. 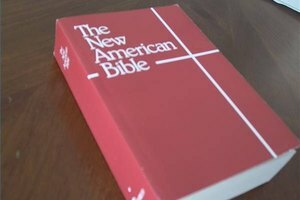 Bibles For America only provides the New Testament. 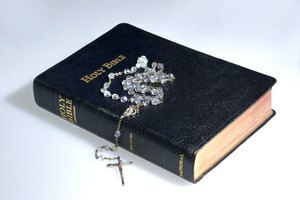 When you request a Bible from Freebibles.net, specify that you want a Catholic Bible. Jina Oravetz has been writing since 2005 and has non-fiction work published in the "Arts Alliance of Yamhill County Quarterly." She earned her Bachelor of Arts degree in English with a minor in communications arts. Oravetz has a variety of work experience including working in quality management and health insurance. She continues to study the craft of writing. Which Translation of the Bible Do Roman Catholics Use? Oravetz, Jina. "How Can I Get a Free Catholic Bible?" 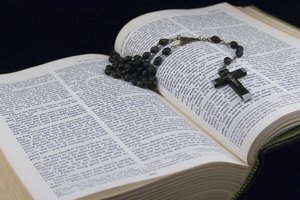 Synonym, https://classroom.synonym.com/how-can-i-get-a-free-catholic-bible-12083717.html. 29 September 2017.